​Chartered on April 21, 1927, our service club is dedicated to helping individual and community needs in the greater Tampa Bay area, with special emphasis on helping people with developmental disabilities. Just a few of our projects include Citizen of the Year, working with Special Olympics, Neighbor-to-Neighbor Christmas program, Angels Unaware group homes for the profoundly disables, Golden Heart award, Bakas Equestrian Horses for the Handicap and Jingle Bell Run. Until it’s announced, the identity of Tampa Metro Civitan’s prestigious annual award is a carefully guarded secret. Debbie King didn’t want this year to be a repeat of 1930 or 1938 — years when Tampa Metro Civitan decided not to hand out the award because the winner was leaked early. The Tampa chapter of the international community service group has handed out the award annually since 1927 to citizens who show “unselfish commitment of time, talent and energy for the betterment of the y.” Past winners include George Steinbrenner and Derrick Brooks. ​Formed on April 21, 1927, Tampa Metro Civitan has recognized 88 individuals as its Outstanding Citizen. This award is presented to those who have unselfishly given their time, talent and energy to help better the City of Tampa. Civitan International is an organization of volunteer service clubs around the world, dedicated to helping people in their own communities. Civitans clubs hold a variety of projects throughout the year including Special Olympics, building wheelchair ramps, holding dances for people with disabilities and collecting food items for the homeless. Take a closer look at Civitan and see all the wonderful things we do to "make the world a better place". The Tampa Metro Civitan Club sponsors five Junior Civitan Clubs in the Tampa area. They are Walker Middle JCC, Lutz Leopards JCC, Noble JCC at Robinson HS, Steinbrenner JCC, Leto JCC and Tampa Bay JCC, a community club. 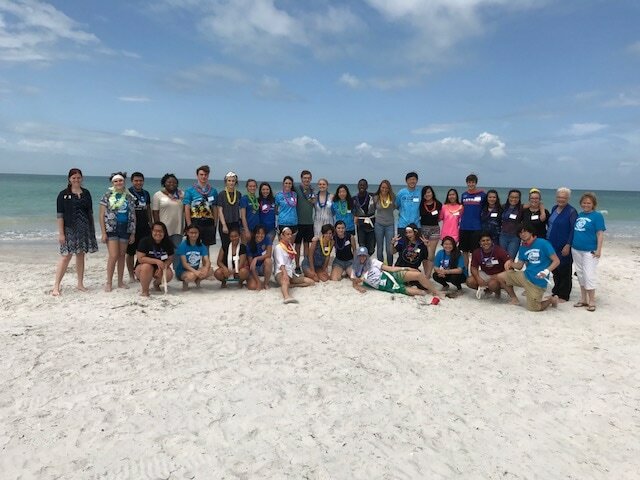 These clubs are part of the Junior Civitan Florida District and Junior Civitan International. Tampa Metro Civitan Club meets on the first Monday of each month at Perkins Restaurant, at 6:30pm and the third Monday we hold a social event, knowledge forum, or expedition, in addition to our monthly projects. Use PayPal to conveniently pay your club dues or make a donation.